*Battle of the Burgers: Despite the gourmet burger trend, classic burger is still on top. hungryhouse.co.uk, the online food ordering platform has today revealed some of the UK’s most surprising takeaway habits. Whether you opt to use chopsticks over a fork, remove the gherkin from your burger or think it is socially acceptable to launch your Instagram app before tucking in for your first bite – hungryhouse has the answers on how the nation likes to eat their takeaway. 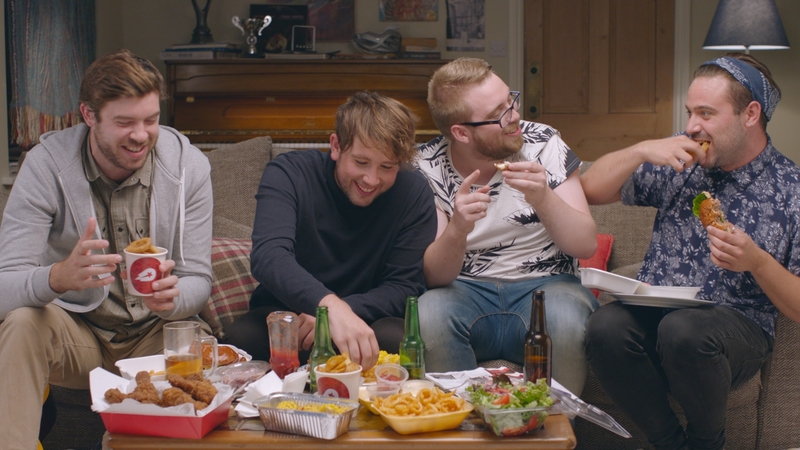 Triggered from conversations between real people in the brand’s latest TV advert, hungryhouse held a month of debates on their social media channels and conducted research amongst their user base to obtain answers to some of the age old debates when it comes to enjoying your favourite takeaway treat. If you are reading this as and are feeling in the mood for something specific, like Pizza, you could look into something like a pizza delivery service, who deliver close to you. Findings indicate that despite the recent rise of the overly-styled, “hipster” gourmet burger, a classic no frills burger is still Britain’s favourite, indicating that the nation won’t be swayed by the hype and prefers the good, old fashioned classics. When it comes to instagramming your food before you eat, the majority (83%) of the nation prefers to tuck in first – unless you are under 24! It seems under 24 year olds believe image is more important than hunger and prefer to “gram” their food before they eat it. Only a handful of Brits throw their leftovers away, while most people (3 in 4) enjoy a takeaway for breakfast squashing any potential feelings of next day guilt. When it comes to washing up the nation isn’t afraid to get their hands a bit soapy as plating up your food takes the win over eating out of the carton. The age old debate of chopsticks versus fork was finally answered with forks coming out on top, beating the traditional culinary tools used in the cuisines origin. Surprisingly fruit on a pizza split the nation 50:50 – shattering the common perception that British people don’t like pineapple chunks on pizza. When it comes to gherkin, it seems not as many people sneakily throw theirs away, as the majority (76%) opt for the gherkin to remain firmly nestled between the bun and patty. Other surprising debate winners include classic ketchup over mayo, proper chippy chips over American fries and a helping of cheese in a burger over a plain hamburger.